Rob Riches is one of the top fitness models in the world, part of his job requires him to be shredded all year round and possess some of the best abs in the world. He also competes in fitness competitions for natural bodybuilders, so he is always in top form because you have to be the best to win such shows which he does. 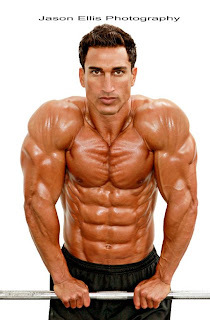 Here is a video to share how he gets those sculpted abs and I am going to share it with you below so that you can try those fantastic ab workouts in your gym, and some of the others which are possible to do at home which you can try. Like other top fitness models with a great set of 6 pack abs he trains them every day, he recommends that you do a bunch of abs exercises as a circuit so you get the most out of it, so that means mixing 3 or more different abs exercises, doing them one after the other with little to no breaks until you have completed all the abs exercises, doing about 15 to 30 reps of each abdominal exercise. Cardio: Usually 40-60 minutes on a stationary bike, at a moderate to high – causing a sweat after 20 minutes, increasing the resistance every 5-10 minutes. (I usually do this 2-4 times a week in the morning before breakfast, as I reply to emails and answer questions on my social pages). He goes into great deal on his blog about what he eats and how he counts calories, you can go check that out here, but I will share a summary of his diet below. He spaces his 6 meals out by 3 hours, as I said before he goes into more details in the post on his blog that I linked to. Getting crazy ripped 8 pack abs is no child's play, it is what separates normal civilians from fitness models. Fitness models somehow manage to get those thick ripped abs with deep cuts, and they also manage to stay lean all year round just in case a magazine gives them a call to come have a photo shoot. 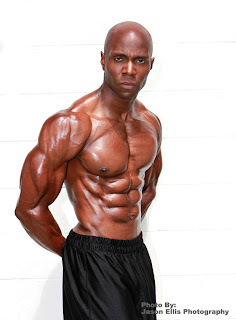 Today I bring you 15 fitness personalities with the most amazing 8 pack abs and six pack abs in the world.